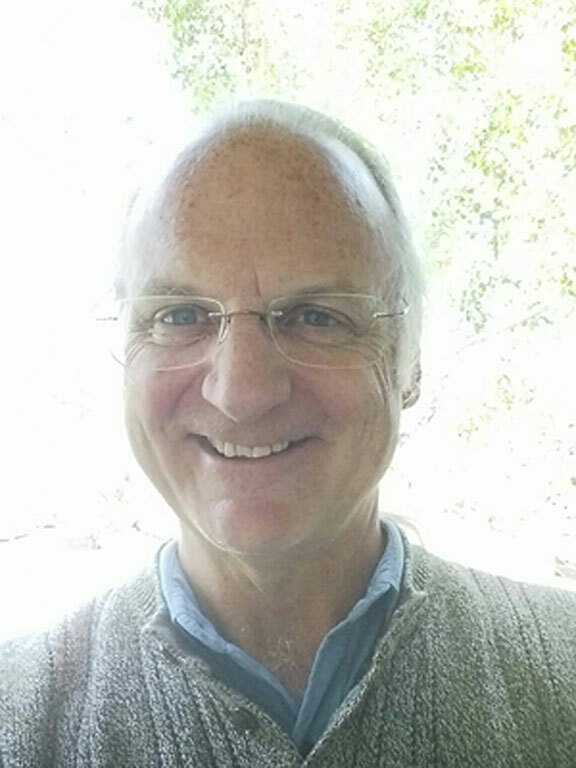 We are honoured to feature Michael Miller (63) from Boulder, Colorado. 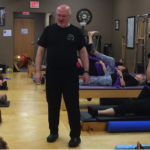 Michael has been a Pilates Instructor for 33 years! Can you tell the readers something about yourself? I’m a farm kid from Illinois. Campion Prairie du Chien 1966-1970. CU Boulder 1970-1974. I learned direct from Joe. Not in the flesh, but not distracted by it either. I am passionate about his work. He was also passionate about his work. I feel we are both looking at the same thing—the ideal within his original work. Do you own a studio? Bruce Lee closed all his studios and went into movies. I ended up a global Kokopelli spreading the Michael Miller Pilates view around the world. 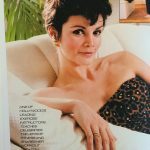 In 1980 I went to work as a GO at a Club Med in Copper Mountain, Colorado to try out my ideas on an international clientele because I couldn’t afford to travel. My ideas had to do with computers and bodies—in both the quality of what you do and the order you do them, matters. Coming back to Boulder, I went to my local gym (Farentinos) and said I wanted to teach my stretching/meditation class. He told me I was talking about Pilates. That’s easy. Everyone’s choice has to be Romana. She has no equal. Why is that? Because she’s the one in all the film. The Pilates Method of Physical and Mental Conditioning after I talked with Farentinos. Then Stephan. Deborah. Bruce. 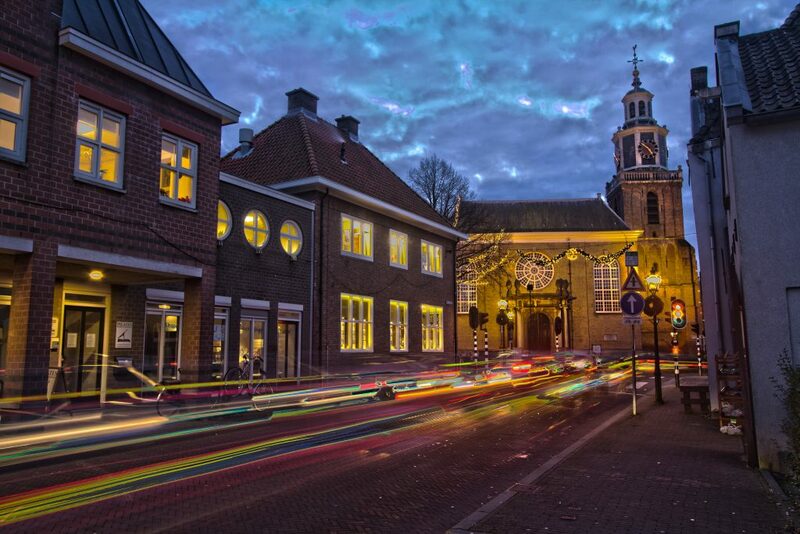 Romana. Steve. I heard Romana say “Open your eyes. Look out!” in objection to being eyes closed and meditative in the movement. That was something big for me. And Steve had Deborah demonstrating Russian Splits with Control. She was thinking it to death and he clapped his hands together and said, “Stop thinking! Be.” And most of the way through a training I was in, I asked Steve when consideration of rotation at an axis comes into play and he said it doesn’t. That was an ah-ha moment as well. 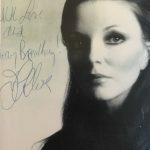 And when in a private with Romana, pressing her for the outer limits of inversions, I observed her extend the pattern from elsewhere into my desire for more. Extending the pattern, as the presumed means of extension. That was very deep, very awakening, revealing not only her process but her perspective.I really got my Pilates education by documenting the original work of Joseph Pilates. Like 98% or better. All the Mat, all the Reformer, Cadillac, Chair, Barrels, accessory equipment. 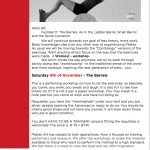 I produced the first Pilates encyclopedia of the original work. This is the true source of my Pilates education: documenting the original work of Joseph Pilates. His words, his images, his videos.In short, I learned direct from Joe. Not in the flesh, but not distracted by it either. I am passionate about his work. He was also passionate about his work. I feel we are both looking at the same thing—the ideal within his original work. I never decided. It just became that way. 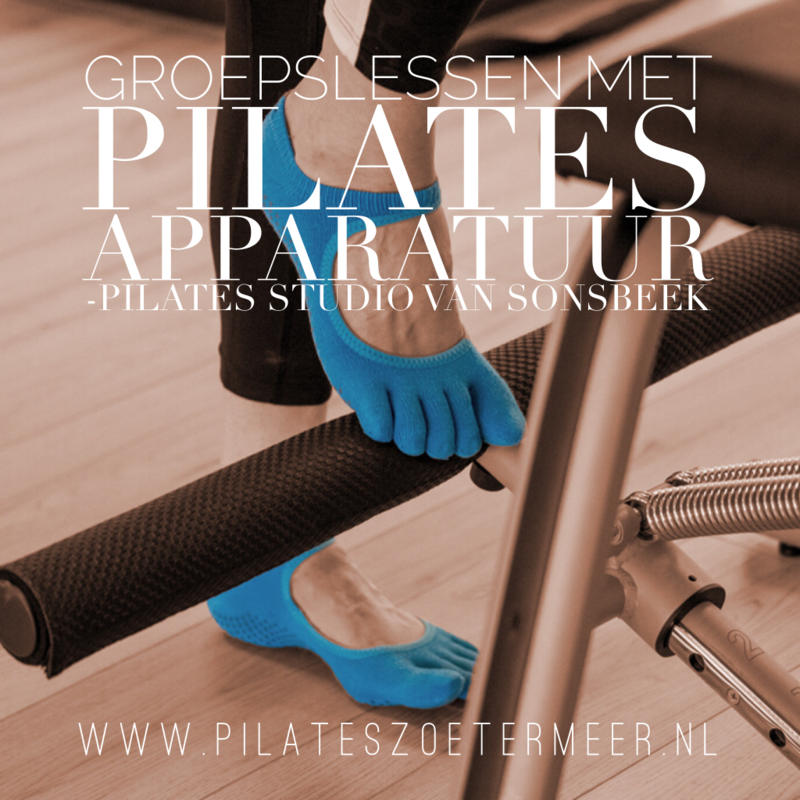 I have a Pilates profession: I profess there is an ideal within the original work of Joseph Pilates. Of course, I still study the method, mostly to help others see more clearly the ideal existing within it. No, I don’t attend workshops. The last workshop I went to was on breathing by the head of a major brand of Pilates and what I went to hear about that was on the agenda never got addressed. If there were a workshop on some take on Pilates other than my own that’s based upon the ideal within the original work, I’d be first in line! Idealization and freedom, yes. Snobs and slavery, no. To have an opinion you have to care, and I don’t care about any of them, because none of them acknowledge the fact that Pilates has an essence of its own. Doesn’t matter. Even those who knew Joe don’t know if they don’t admit to what is in his original work. It’s more than all about money. It’s all about vanity and self-amusement under the proclaimed piety of service to their clients. 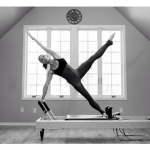 What Pilates apparatus is your favorite? Pedipull. Feel alignment. Wrists, shoulders, neck. Reformer. Most flow, least load. Which Pilates apparatus is your least favorite? No such thing. 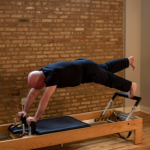 Every piece of Pilates equipment is precious because it serves a purpose and Joe used it. Do you prefer a certain brand? If so, why? Mark Spenard is the best. Depends upon the piece of equipment. 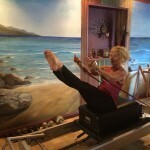 On the Reformer, if the springs are in or at tension while the carriage is at rest it’s not right. Which Pilates exercise is your least favorite? That’s like asking which is your least favorite link in a chain. Yes, I offer my educational program online. At hermit.com you can find lists of all the exercises on all the equipment, but so far it hasn’t drawn much of a following. Others have started their own educational programs based upon my materials on the web. A manual is required to run a training program, once you’ve got the pictures you can make up the rest, right? My view of Pilates took me on the road across the United States and then flying around the world. In each place I usually met one or two who appreciated what I was talking about. And even though for some, in some way, they didn’t get what I was talking about, or got it and didn’t think it mattered that much, we’re still connected, and they are still aware of a point of view of Pilates that sheds the chains of an entrenched aristocracy and allows you to declare your freedom because you understand the ideal within the original work. That’s easy. Everyone’s choice has to be Romana. She has no equal. Why is that? Because she’s the one in all the film. Show me anyone who has anywhere near the on-film time with Joe than she does and I’ll reconsider my opinion. As someone who has spent my life documenting the original work of Joseph, I can tell you the person who would know a lot about my work is who spent the most time with me in front of the camera. For me, that would be Sandra. 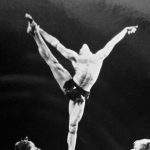 Romana preserved the performance of the original work of Joseph Pilates. If you’re reaching up that lineage thing Romana has the deepest root because of her unmatched time on film with Joe. Joe’s book gets you to the ideal on its own. In his book you get his definition, his promise, and his sequence. From that you get the essential Pilates experience. You don’t need Romana to appreciate or acknowledge the truth within the original work. Romana, in many ways single handedly kept the purity of the practice alive for many years. Without her I might have never paid so much attention to the original work and discovered the ideal within the original work. The practice, and the point of the practice is Joe’s alone. Joe’s alone. No Clara, no Romana, just the artist and his art, a complete work that stands alone. Point made. All we can do is acknowledge the truth and play with it to our hearts content. In the search for control in the hopes of survival. 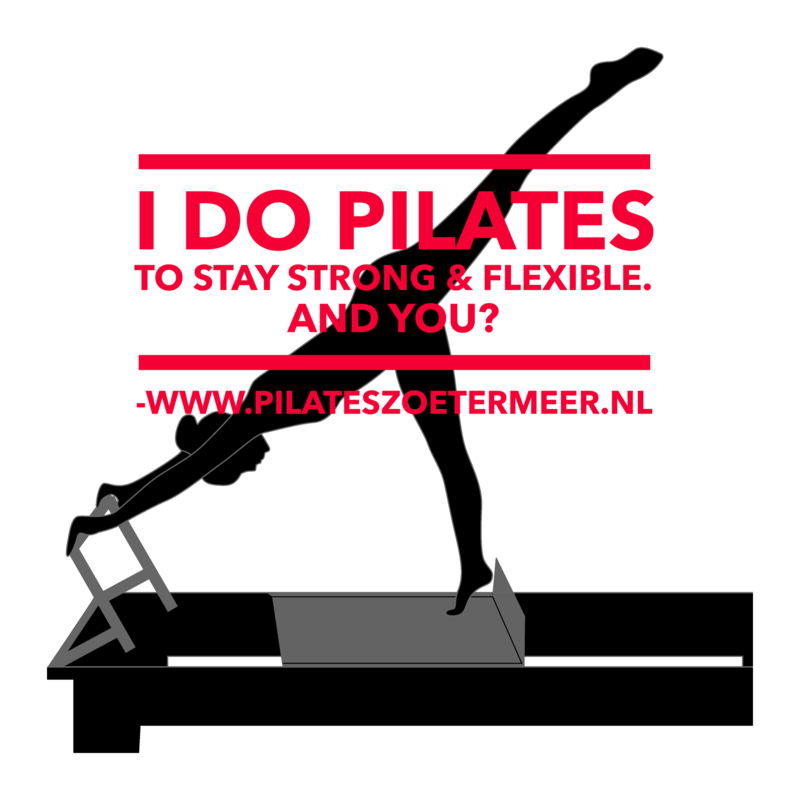 Do you think that the perception of Pilates has changed to the people in the last 10 years? It’s inability to define itself leaves it open to economic exploitation. Nobody wants to acknowledge Pilates has an essence because it would infringe upon their right to say it is whatever they want. 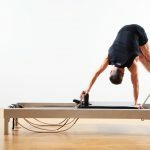 The essence will be what those who care about Pilates will come to focus on because it will be the only thing that will give any identity to just the word Pilates. It can mean anything to anybody. That’s why I have to say that Michael Miller Pilates professes that Joseph Pilates made a point within his original work. It was in place before he met Clara, and remained the same for the rest of his life. No first generation, second generation needed. Just get the idea and you pass. Just get the idea and it doesn’t matter if you pass. I’m not saying training programs don’t serve a purpose. Training programs that only belabor exercises and not the grammar in which they exist only serve a limited purpose, and don’t really serve the ideal within Joe’s original work. Don’t do anything that hurts. 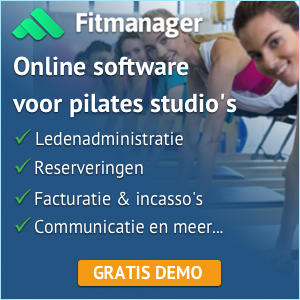 What is your main advice to the future trainers who want to be Pilates instructors? Study Michael Miller Pilates. The sooner you get the idea the sooner you’ll find the confidence you’re looking for. Pilates is “complete coordination of body, mind and spirit,” that can be experienced as a state of being in the body in the moment of the doing. How does it differ from yoga for example? Pilates and Yoga are like the two faces of Janus caught in the moment looking in different directions. Yoga is rooted in Eastern ideology. Pilates is rooted in Western ideology. First you have to understand the target: “Complete coordination of body, mind and spirit” as a state of being in the body in the moment of the doing. Second you have to understand the difference between spirit and spiritual. Spirit is sensation, spiritual is interpretation. Pilates is not spiritual! (For many that’s its appeal.) Spirit is the listener. The listener is not the thinker. Hence, the desire for complete coordination of body, mind and spirit/listener. I can say Pilates is “uniform eccentric loading, flowing through progressive patterns of movement” and know that the original work backs me up. That’s my definition of the idea. 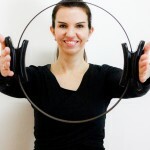 What’s yours?What makes a Pilates teacher a better Pilates teacher? 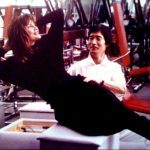 Pilates can be taught without any of the original exercises if you teach in harmony with the ideal established in Joe’s book Return to Life through Contrology. If there is no ideal then what does it matter? Only an affront to your vanity? It depends if I’m in-residence or not. I like four in a row in the morning, an hour off, and then three in a row in the afternoon. I think it’s okay to end up with a day or two that have you booked for 9 or 10 hours in a day. It’s like test pilots taking off their oxygen masks. Watching your abilities diminish and how it challenges your teaching. (The next time, you remember what it’s like to be so tired and you start conserving energy way earlier in the day.) And you learn that even if you have that many scheduled, odds are not that many will show up. 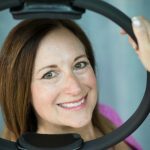 Is your focus more on private, duets, trio sessions, group classes or something else? I teach privates. I don’t do duets or trios. Groups are fine. Seeing a student achieve complete coordination of body, mind and spirit as a state of being in their body in the moment of their doing. Cant’ think of a thing. In my opinion Pilates will continue to dilute into even more meaninglessness than is already the case. It will be ridden into the ground by a pyramid of money making self-interests which include insurance companies, collectives/unions/alliances, manufacturers, lineages, studio training programs, (to protect the public, even though they can’t explain what it is, let alone what the public is being protected from.) Eventually the veneer of superiority due to aristocratic privilege will wear thin, and even they will be forced to say, “Yes, there is an ideal within the original work. And now here’s why I’m still better than everyone else!” That’s okay. That makes my day. Because the ideal within the original work makes Pilates a level playing field. It is what it is before anybody else says what it is. This in one of the biggest accomplishments in my career. I can say Pilates is “uniform eccentric loading, flowing through progressive patterns of movement” and know that the original work backs me up. That’s my definition of the idea. What’s yours? 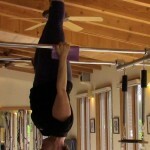 The biggest insight, and perhaps the biggest accomplishment in my life came out of my study of Pilates. From my study of Pilates came my trademark, “Cornu” which rises out of the Pilates world to all humans as a means of feeling alignment and triggering uniform usage of the musculature. Recently, I taught a workshop on how to apply Cornu in Yoga as well as Pilates. Quit a reach for a Pilates guy like me, but it held its own. 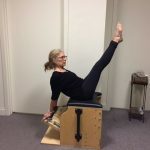 And in my opinion, the world of Pilates is headed to Michael Miller Pilates, and Michael Miller’s trademark will reach well beyond Pilates and be a convenient tool in all movement disciplines. 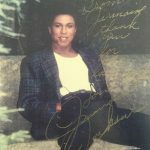 Ask anyone who knew Joe and they will always refer to him as a survivor. His work is survival training, and the arena we try to survive in is the gravity jungle. Gravity forces the issue of alignment. Alignment is sensational via tension. Tension takes two endpoints to feel alignment and trigger uniform usage. The more uniformly engaged we are the lighter we are moving through space. Uniform development is the natural outcome. Please tell us more about your own practice. 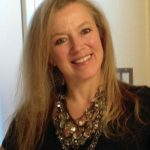 I was asked about my own practice once and I felt so embarrassed that I didn’t have one. Then there were days when I needed the mat in the morning, after tea, before breakfast…just to maintain my sanity. I discovered I did have a practice, and when my survival is threatened I resort to it.Years later, when I spoke again with the person who asked about my practice, I cried, and told her how embarrassment had turned to confidence after seeing my practice emerge to support me. Instructing. When you practice you do. When you teach you ask a person to think. When to instruct you ask a person to do. The student is the dog who wants to chase the ball not have the ball explained. Instruction is the essence of “teaching” Pilates. 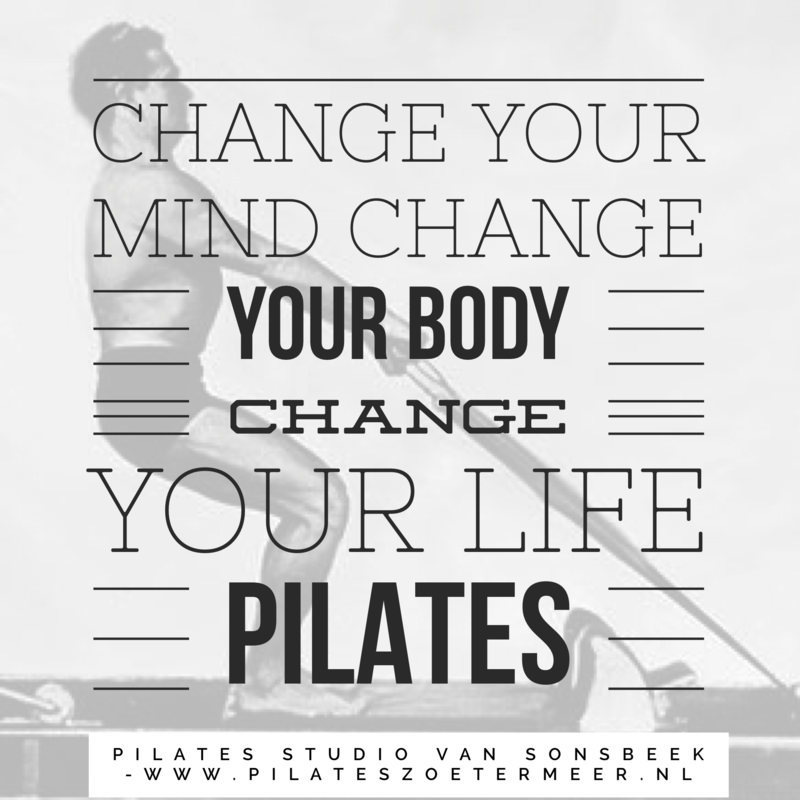 What is your (Pilates)dream and your goal in life? The hermit looks down into the valley and sees the city elders leading a crowd up the mountain to judge for themselves what the hermit has been splashing on the walls. My goal in life is to splash as much on the walls as I can while I can before judgement shows up and changes it forever. 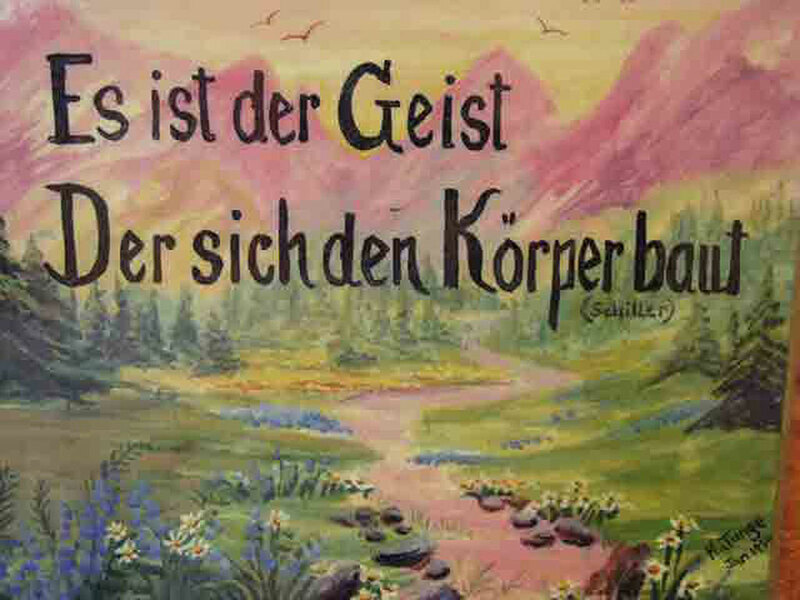 “Es ist der Geist, der sich den Körper baut” is a line of “Wallensteins Tod” (Wallenstein’s Death) a Schiller play. NONFICTION: The Elements of Pilates and the Michael Miller View. Is meant to be a stab at the kind of book the Elements of Style is. It’s self published and has its flaws. Absorb the blog before you order the book for reinforcement. 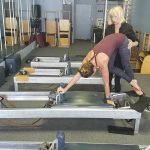 FICTION: The Pilates Workshop …is about two women who head to Boulder, Colorado to compete in the Pilates Trials held by the University of Pilates. One is driven by her shoulds, the other by her wants. Cornu is an image that points to a feeling. When you rotate around the axis through your shoulders in one direction and you rotate around the axis of your ears in the opposite direction you create tension between the two axis—between the two “endpoints”. Return to Life though Contrology by Joseph Pilates — That’s all you need. Can you elaborate on where your definition of the ideal within the original work comes from? If you have Uniform Eccentric Loading Flowing Through Progressive Patterns of Movement you have the ideal of Pilates going on. Why do you say that Joe’s book is the only book you need? 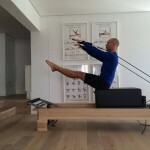 The idea of Pilates comes from three things right out of Joe’s book: his definition, his promise and his sequence. His definition, “Contrology is complete coordination of body, mind and spirit” sets the target. His promise, “Contrology develops the body uniformly” sets up the need for uniform usage. (Cornu is a great way to get that.) His sequence, “100, Roll Up, Roll Over…” reveals loading, progressive patters and flow. When you understand what is in Joe’s book the rest is derivative. Why is uniform development so important? Why is Cornu a great way to achieve uniform usage? Cornu is an image that points to a feeling. 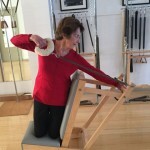 When you rotate around the axis through your shoulders in one direction and you rotate around the axis of your ears in the opposite direction you create tension between the two axis—between the two “endpoints.” That tension makes alignment sensational and in reaching for alignment we necessarily arrive at uniform usage, part of the Pilates target. But it also works in other modalities as well. In Yoga, standing on one leg, you set up Cornu tension between hips and ankle to support the leg in the air. The body uses the physics of Cornu tension to move through space. The better you get at it the lighter you become. 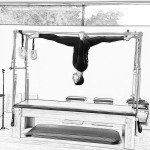 Is being a Michael Miller Pilates Licensed Affiliate a training certificate? An MMP LA is a license, not a certificate. You get your name with my trademark as a way to show you know. No matter what your training background, you show you know that at the heart of them all is the ideal within the original work of Joseph Pilates. You honor the man, his art, and the self-contained message within it. Blog and Reformer App in Google Play. 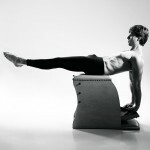 Pilates is essential to survival and Michael Miller is essential to Pilates! The idea that Michael has found within Joe’s original work is simply brilliant! 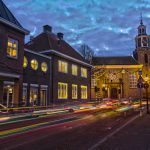 I, (Marjolein van Sonsbeek, the Editor-in Chief) removed a sentence in the comment below, because I found that the accusations were offensive. This is not what I want on Pilatesglossy. Discussions are more then welcome, but must always stay polite and respectful. I asked to author to contact me, but her emailaddress was false. Sheila, please mail me. 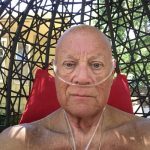 He has never studied only has been living of his website , pilates noobs around the world and this idea that he repeats over and over. I would consider learning more about who we call “masters” and “teachers” as this guy is not a good example for anybody. And suggest we seek for real teachers to interview . After all anybody can watch Joe´s videos and then put on a show…. To the editor: Your choice to allow defamation of character but only to a point—defines your character. Especially, when you admit the comment comes from a fake email. Thank you for the publicity! Whatever you hope to accomplish in your remarks you have contributed to my exposure, so even though it is unintentional on your part, thank you for spreading the idea that you obviously are trying to suppress. Do you really think you can create a fake email address, make libelous comments, and not be held accountable? I worked for the studio you mentioned for 5 years before they fired me. That was 25 years ago. If your assertions were true it seems that my character would have come into question much earlier while I worked there, and been an issue since I left. One voice that spoke against me proved to be irrational. The other voice was coerced, and it was all an effort to get too big of a fish out of too small of a pond. Nothing ever came of it because there was nothing there. 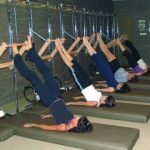 Of course, the stigma of misbehavior was easy to slap on my back on the way out the door to marginalize my view of Pilates. Like you are trying to do now. You choose to undermine what I’m teaching as though it is inferior to what you teach. Smile. Even if you ever saw Joe in the flesh, which you haven’t, makes you no closer to Joe than me. You want to start splitting hairs and say you knew Romana better than I did? Smile, again. Maybe, but it doesn’t matter. Romana is not the source of Pilates. Joseph Pilates is the source of Pilates. Romana can only help you get to Pilates. And she’s not the only one who can help you get there (obviously). The question is where is there? For me, there is where the original work of Joseph Pilates points. I see an ideal there. That takes you deeper into the roots of the method and beyond the aristocracy of social status. Thank you for making my point! 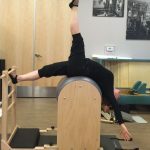 I have taken my view that there is an ideal within the original work of Joseph Pilates out into the world. Smile. And accepted or rejected, exposure to the idea is itself, baptism. Thank you for acknowledging my idea! Like it or not, you’ve been baptized too. I’m just a farm kid from Illinois. And I’m far from perfect. But I’m not the person you paint, and so the question comes—Why? Is it meant to be a distraction from my message? (yes) Is it meant to kill the messenger to avoid the message? (yes) Well, you better learn the idea, and learn how to admit the truth in the idea before you go off and dress your view of Pilates like your own personal Barbie doll. I know you speak for everyone who wants to condemn me to avoid the message. Too late. I don’t matter anymore. The world knows about the idea that exists within the original work of Joseph Pilates. The world will expect you to know it, too. My Reformer App is the de facto standard.